TEHRAN (Tasnim) - Ranking diplomats from Iran and Germany met in Tehran for talks on the 2015 Iran nuclear deal and a European-proposed financial mechanism for evading the US sanctions against the Islamic Republic. 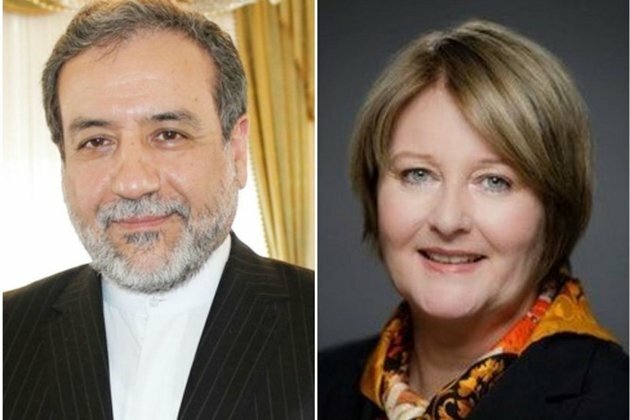 Director of the Political Directorate-General of Germany's Federal Foreign Office, Antje Leendertse, held a meeting with Iran's Deputy Foreign Minister Abbas Araqchi during her visit to Tehran on Wednesday. In the get-together, the two diplomats discussed a range of bilateral and international issues, including the latest status of the implementation of the Iran nuclear deal. They particularly talked about the efforts made to address the effects of US sanctions on Iran after its withdrawal from the nuclear agreement - the Joint Comprehensive Plan of Action (JCPOA). Leendertse and Araqchi also underlined the need to implement the anti-sanction solutions, particularly the Special Purpose Vehicle (SPV), according to Iranian Foreign Ministry's website. The German side stated that the European countries are aware of the importance and urgency of the matter, have been working intensively on various aspects in recent weeks, and are trying to finalize the mechanisms in the next few days in consultation with the Iranian side. She also stressed that some parts of the mechanisms would become operational after taking priorities into consideration. Araqchi, for his part, expressed Iran's strong objection to the arrest of Assadollah Asadi, a diplomat at the Iranian embassy in Vienna, by the German police and his extradition to Belgium. The Islamic Republic will follow up the issue through political and legal channels to take appropriate action, he said. During the talks, both diplomats stressed the need for maintaining close consultations to address regional and international issues, resolve problems in the bilateral relations, and to develop economic, commercial and banking ties.